Our God Loves You Collection is designed to help you welcome new members and visitors to your church or ministry group. These items are value-priced and are perfect for events of all sizes! 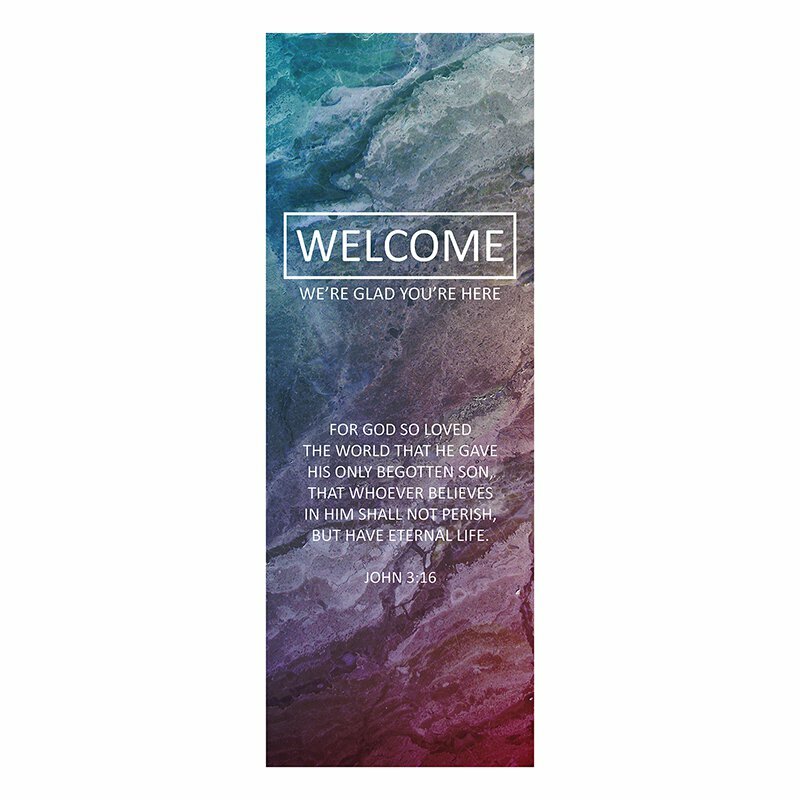 Create an welcoming environment at your church with our We're Glad You're Here X-Stand Banner. Artwork is printed in high resolution on easy-care polyester fabric. Use for sanctuary, narthex, learning centers and meetings. Banner features a colorful marble background with Bible verse John 3:16. Fits easily onto X-Banner Stand, sold separately (#MS255).